We sell many millions of these pasters each year. The bright florescent red/orange color is highly visible when attached to almost any surface. 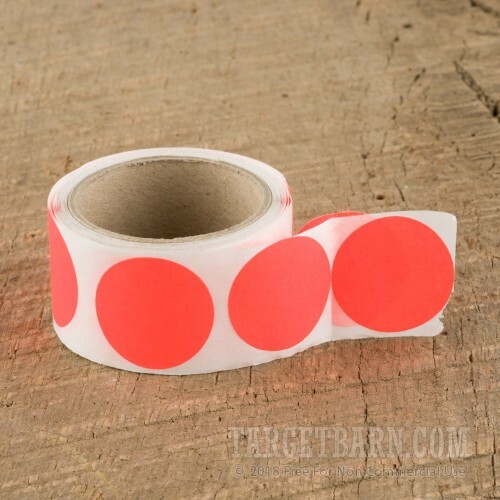 Simply peel and stick this paster to any piece of cardboard or paper, and you immediately have a target to aim at, that's visible from long distances. 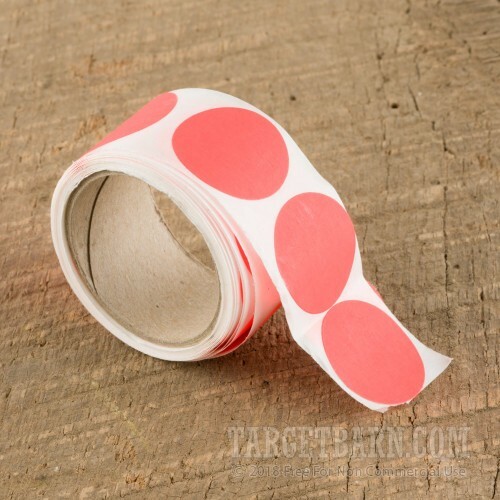 These pasters are 1" round with permanent adhesive. Like all of our Target Barn pasters, they are produced with a flat non-reflective finish to reduce any glare when shooting at targets in bright sunlight. They are sold on rolls with 125 pasters in each roll. They are also available in 2" round and 3" round versions for shooting at even longer distances.